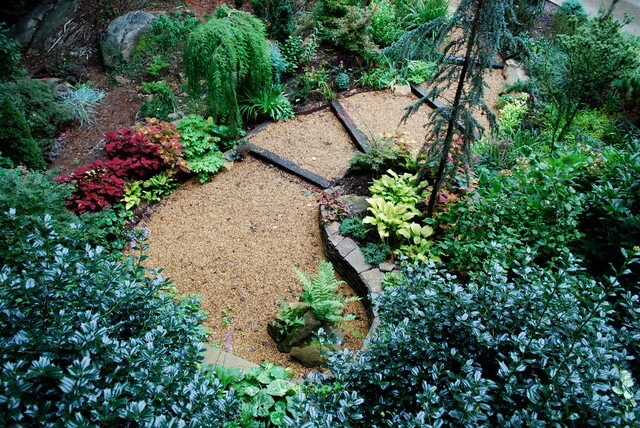 The third view is looking down from the deck. Prominent lines define the space, carving out a bold presence in the midst of the forest. Without these prominent lines, the space would uneventfully fade into the woodlands. Pops of chartreuse accentuate the space and cross over the path, while burgundy and blue foliage both stand up to the chartreuse and calm it down just enough.